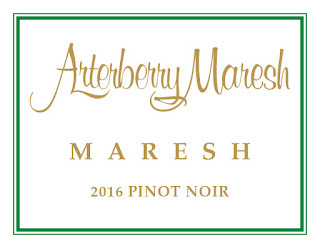 This is the first non-vineyard designate made by Jim Maresh. Pale to medium ruby in color, the 2016 Pinot Noir Old Vines has a lovely pure nose of pink peppercorn, dried black tea leaves, red and black licorice and violets with dried cranberries, red cherries and layers and layers of spice. Medium to full-bodied, it has amazing concentration of flavor in the mouth, blossoming out to pure red fruits and spicy layers, with cinnamon and autumn leaves accents, very fine-grained tannins and juicy acidity, finishing very, very long with tons of earth-laced fruit. Wow! 1,040 cases produced. This wine comes from Pinot Noir vines planted in the early 1970s. 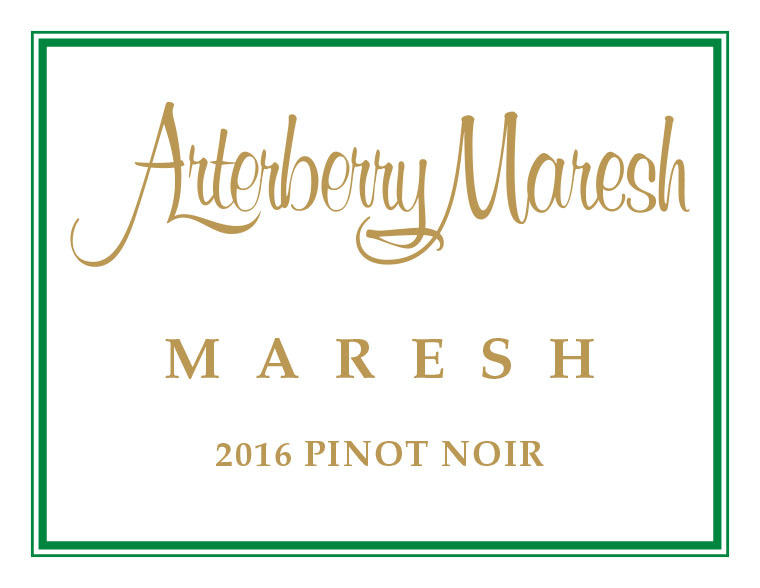 Pale to medium ruby-purple in color, the 2016 Pinot Noir Maresh Vineyard is scented of lilac, violet, pure strawberry jam, rhubarb and cranberry sauce with layers of warm earth, red and black licorice and exotic spice. Medium to full-bodied, it floods the mouth with warm red cherries, strawberry and rhubarb jam notions and wonderful accents of dried violets, earth, licorice and spice. It has very, very fine, grainy tannins and juicy mouthwatering acidity, finishing epically long with spiced warm red fruits. This just sings! 371 cases produced.